Hurry sickness is defined as “a behavior pattern characterized by continual rushing and anxiousness; an overwhelming and continual sense of urgency.” Sound familiar? Such is the daily life for too many researchers; juggling too many projects with barely enough time to think. Since the world is not likely to slow down, its up to us to find ways to speed up without sacrificing the ability to provide strategic insights that support data-driven decisions. But how can one possibly be strategic in this environment? This may seem contrary to logic but the best way to speed up is to slow down … at least at the front end of projects. If Albert Einstein says if he only had 60 minutes to solve a problem he’d spend 55 minutes understanding the problem first, who are we to argue? 1. Keeping moving but gain context. 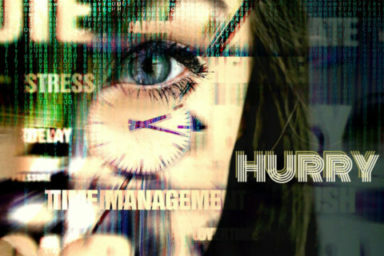 When pressed with an urgent need, there may be no other option than to move forward to meet that demand. However, during the design stage it’s important to get as much context on the situation triggering the request as possible, even if it’s too late to implement the “right” research. In the case of the online loan application “emergency,” the situation driving the need (e.g. a customer-related problem or an IT-driven situation) and expectations as to how the results will be used are the minimum required to understand how to move forward quickly – or even if its best to recommend against doing research. Probing for this background also begins to reset expectations on how early to involve the insights team in exploring future challenges. That’s a lot of heavy lifting with one simple tool! 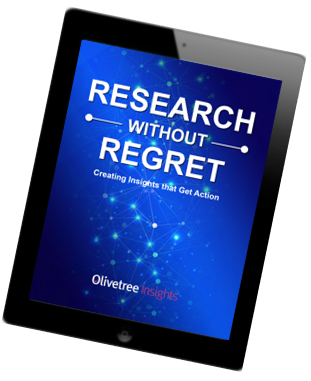 Read our ebook, Research without Regret, (request yours here) to get a copy of a best in class research brief. 3. Embrace technology. Technology is a big reason that expectations are so high for speedy research and analytics. Technology can also help to save time in other ways. Customer online panels can be established so short-timeline requests can be planned for and accommodated. Even the insights brief process can be delivered online to facilitate collaboration, speed up the process for getting project context, and ensure that actionable insights result. The Smart Insights brief is the heart of Olivetree’s InsightsCentral software. It was developed and tested through a collaboration with successful Insights Directors and Marketers as well as Human Performance Technology experts. Let us demo it for you! Contact terry@olivetreeinsights.com.